Although we mainly focus on Berlin and its surroundings, we also love to visit other cities in Germany. If you book early enough, the train can bring you anywhere in Germany for about 40 Euro. 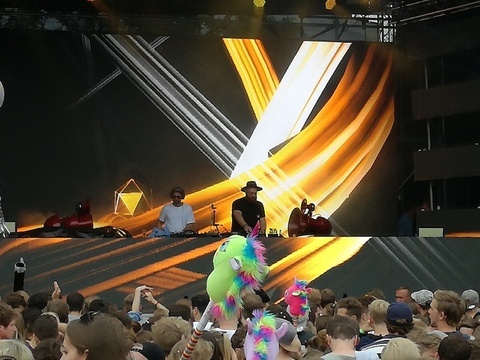 Last weekend we visited Münster to enjoy the Docklands Electronic Festival 2017. 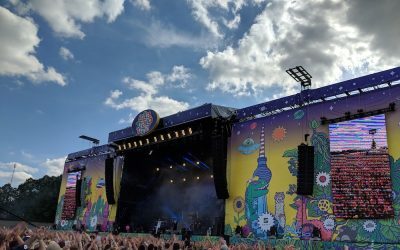 In this article you can read our personal review with plenty of photos and tips for anybody who wants to visit Docklands Festival next year. Traveling a few hours to visit a German festival is only worth it, if the area around the festival is also interesting. Only then you it will be cool to visit the area a bit longer and use the days before and after the festival to discover the city and its surroundings. 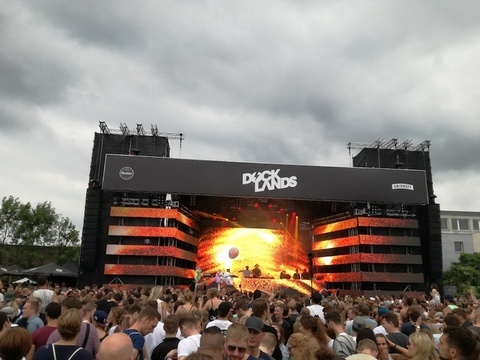 Docklands Festival is organized in Münster which is great if you are planning to do that. Münster is a real vibrant city with loads of students and cool restaurants, clubs and bars. You can visit the harbor, enjoy some cultural buildings or visit the Aasee to chill close to the water. All in all you will not only visit Docklands but also experience a new German city. 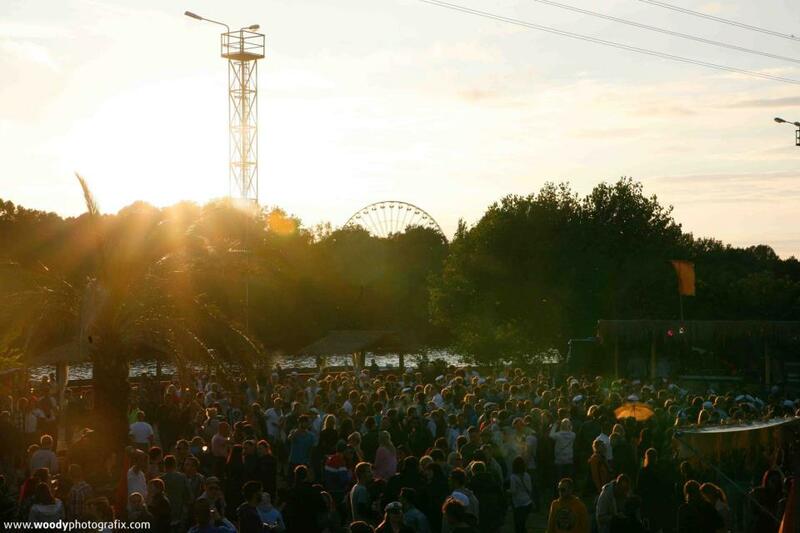 The Docklands Festival is a so called day and night festival, which means you can visit an open-air during the day and party in 9 different clubs during the night. Altogether you can party for 24 hours in a row and experience the best of both worlds. Besides that, most people will not have a problem finding their favorite music style when you can visit 9 different clubs. With clubs like Jovel, Heaven Club, Coconut Beach and Favela all of the biggest clubs in Münster were represented on Docklands. 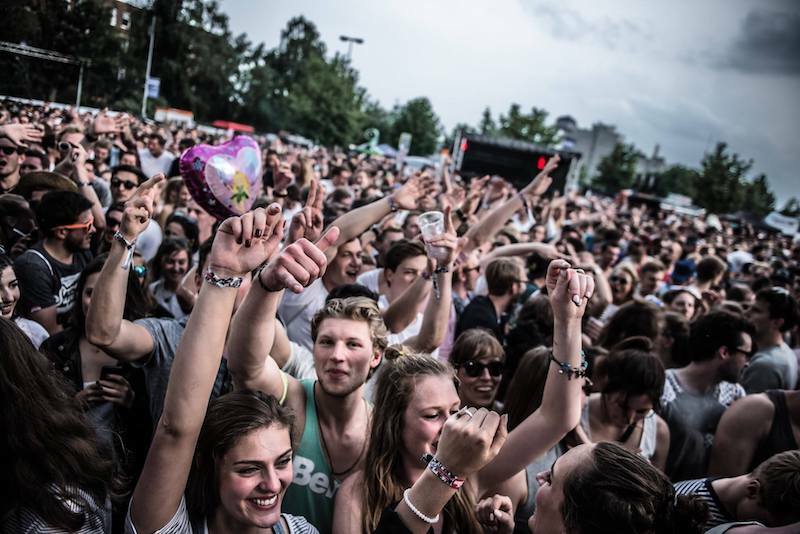 Just like many other German festivals, Docklands definitely offered a very solid line-up. With names like Fritz Kalkbrenner, AndHim, Claptone, Alle Farben, Sascha Braemer en Nicolas Haelg you did not have to worry about not getting the best electronic tunes of this moment. 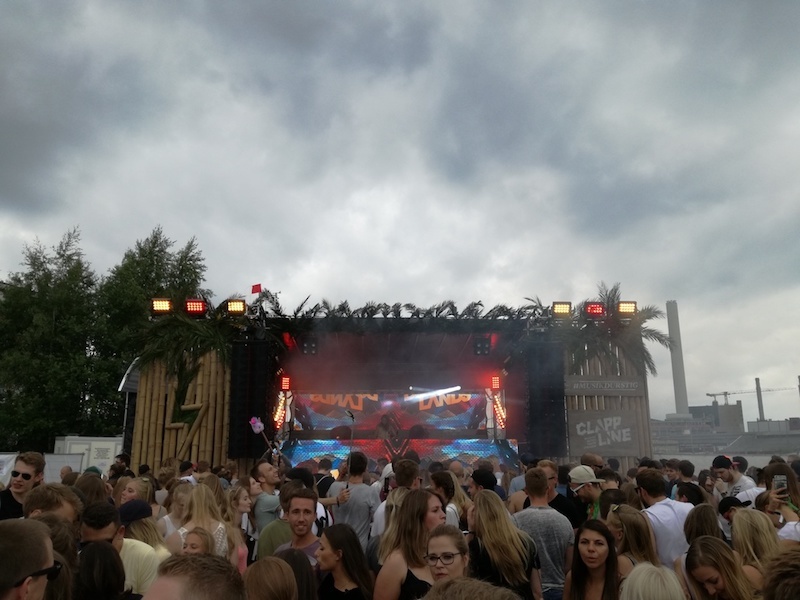 During the open-air, there were three stages: The most famous DJs played on the Main Stage but when you walked a few minutes you would reach the Canal Stage and the Circus Stage. These were a bit smaller but in my opinion the atmosphere was better over there because it felt more intimate. The Docklands Festival 2017 took place on Saturday the 17th of June and the first DJs started playing around noon (12.00). The ticket were available for 46 Euro, which is not much if you keep in mind that a concert of Fritz Kalkbrenner also costs about 40 Euro. The beers were 4 Euro a piece (0,3l), which is quite expensive if you compare it to the prices in Berlin. But a great thing was, that you did not had to stand in line very long if you wanted to buy a drink. In less than a week, on the 25th of June, you can buy super-early-bird tickets for Docklands Festival 2018. These tickets can be bought for only 33 Euro, which is a great price if you ask me. You can buy the ticket on the official website and also find all the information about next year’s edition (not now but later this year). 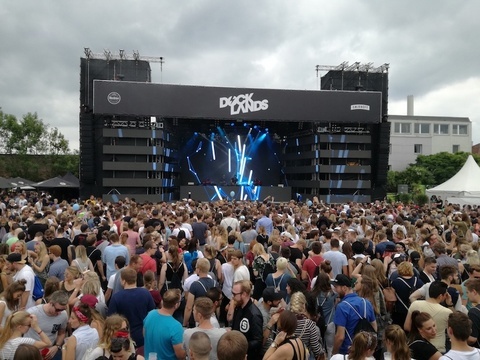 The Docklands Electronic Festival is definitely a festival you can visit if you are looking for some nice tunes and a good atmosphere. The whole idea of open-air during the day and clubs at night is quite unique and makes the whole thing fun. If you want to get a better impression of the festival, you can find the aftermovie of Docklands 2017 here. We had a great time and might be back in 2018. Cheers!